There's nothing quite as cute as a happy baby! 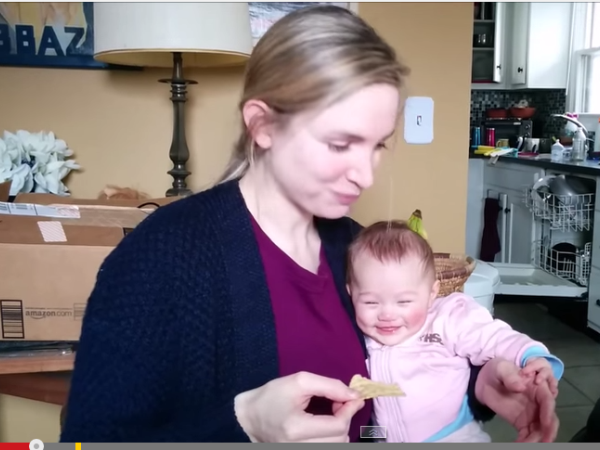 A YouTube video posted by a user going by the name Timothy W. shows his adorable 4-month old baby giggling every time her mom bites into a potato chip. The baby’s infectious laughter then rubs on to the mother. The dad is not spared- the camera is seen shaking as he chuckles from behind the scenes. The video has taken the internet by storm, gaining more than 200 000 views in less than three days. “Everything about this video is adorable...the cute little baby, the look on the mom's face every time she laughs & the dad giggling along behind the camera! (sic),”commented a YouTube user going by the username Tara Strong. “This kid's gonna black out from too much laughter when she encounters her first bowl of Rice Krispies.......(sic),” commented Johnny Geetos, another online user.